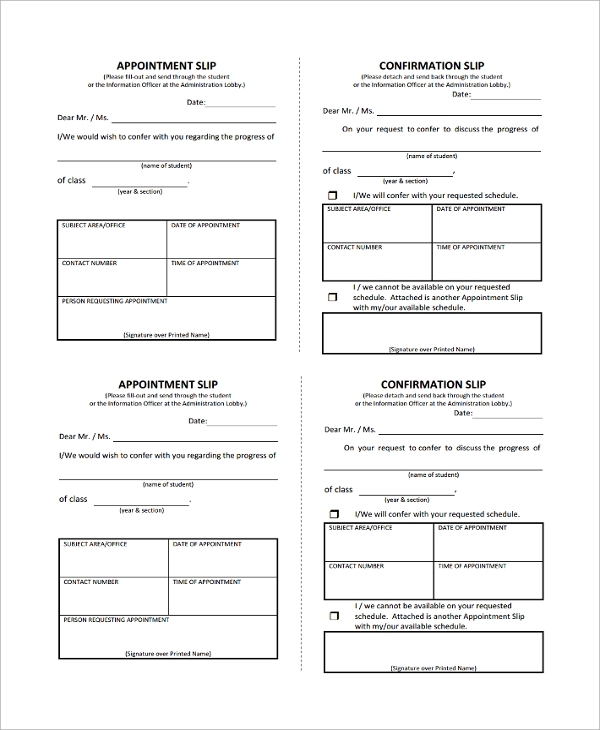 Appointment slips or appointment cards are pieces of papers of different types that are mainly used to confirm dates for meetings. 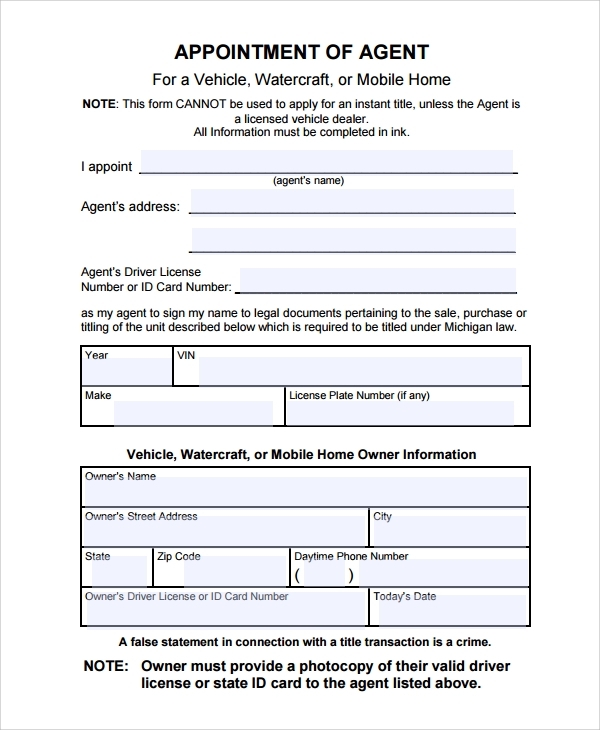 Business establishments give appointment slips to their suppliers, important clients or investors in order to confirm the time for specific meetings. 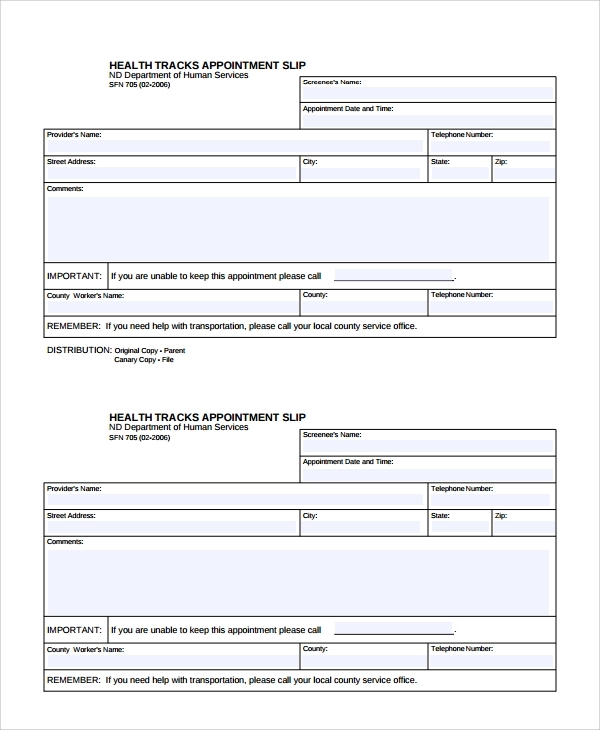 Medical practitioners give appointment Slip Templates to their patients as a reminder of next scheduled visit. Thus, an appointment slip is important for both the parties. On one hand, it helps the company, or doctor to manage time for all the clients or patients; at the same time, it helps the clients to remember the time and date of the meeting. 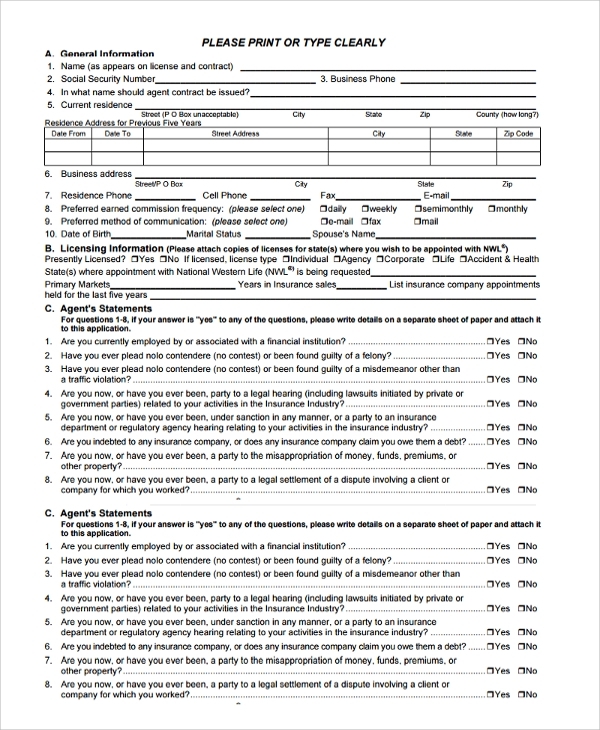 Here, the concerned doctor uses a specific appointment slip narrating details regarding the date, time, a name of the student and person whom the appointment is given. Normally this appointment reminder is sent to the concerned person through the student or his or her parents. 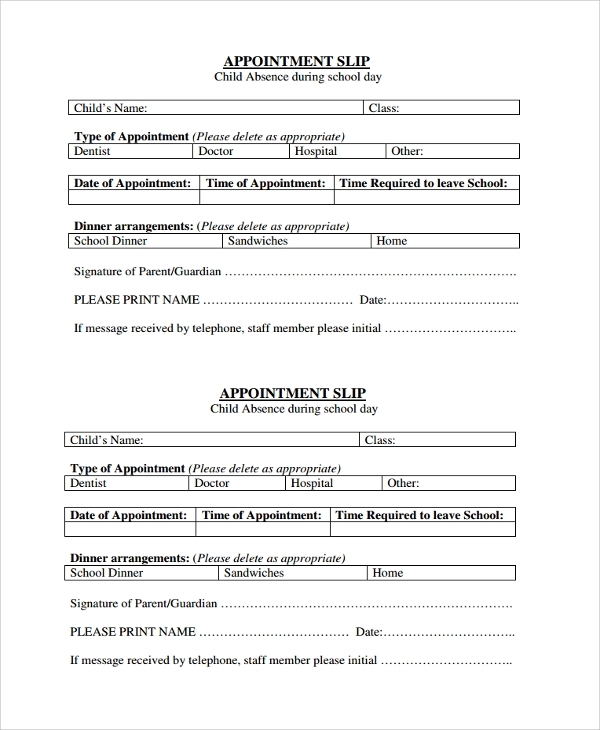 The slip contains a counterpart which needs to be sent back to the doctor confirming the date and time of appointment or requesting to cancel the date. 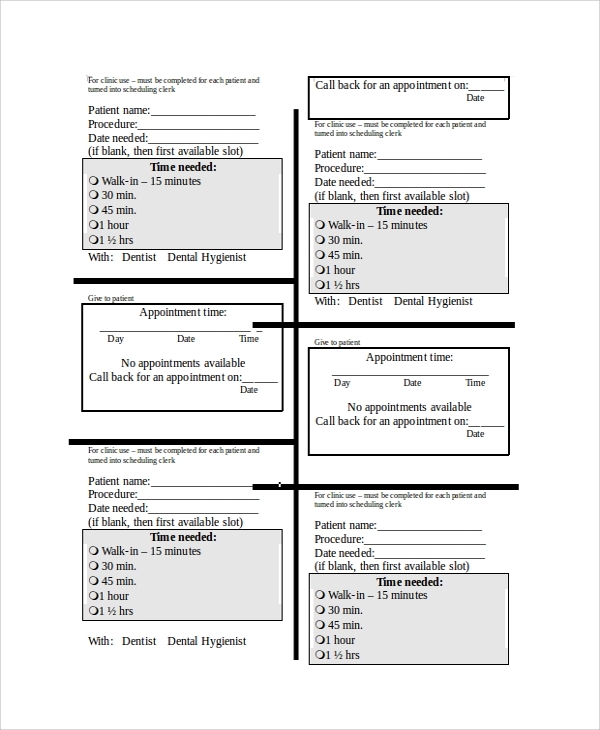 In the case of a doctor or a hospital, the appointment card is very important. A doctor sees scores of patients every day. It is not possible for him to recall their names and next appointment date. On the other hand, a patient may need to take a day’s or half day’s leave from his office or workshop, where he needs to show evidence of visiting a doctor. So, from both these perspectives, the best method is to fix the date and time for the next appointment with the help of appointment cards. An appointment card contains a date, time, address, name of the doctor, and the name of the patient etc. It contains two parts; one part is kept as a record in the hospital while the other part is handed over to the patient. 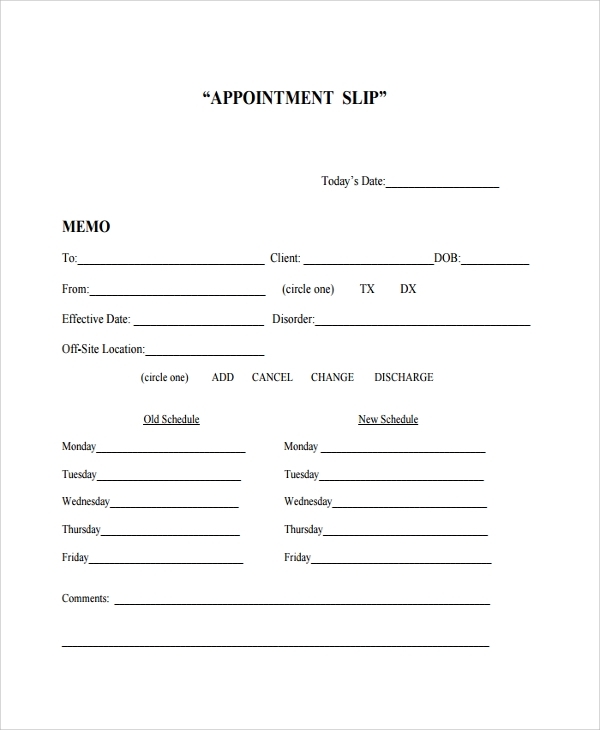 Professionally created business appointment slip templates show how to design good appointment slips. It contains executive’s name, clients name, and date and time of the meeting. There can also be kept a separate space for old schedule and the new schedule of appointment. 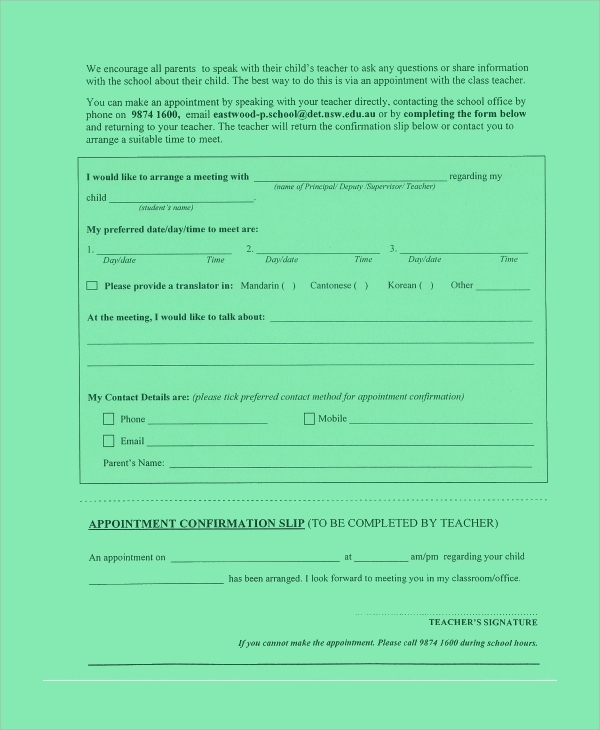 Appointment slip templates are really important part of an appointment. It helps to make the whole job of appointment to a doctor or top management of a business easier for both the parties. It also helps to take leave from the appropriate authority in a proper way. Doctors or business owners just need to design the correct ones for themselves following appropriate templates.